It is the first thing boxer Marlen Esparza would, if she somehow could go back in time, tell the 11-year-old version of herself who walked into Rudy Silva’s Elite Boxing Gym in Houston to train. Crying might have released a lot of the heartache Esparza has carried. Now Esparza, 27, is embarking on a pro career, feeling stronger — and yet more vulnerable — than ever. She’s set to fight Rachel Sazoff in Indio, California, on Thursday, in a bout televised on ESPN2 and ESPN Deportes. As a child, Esparza was laser-focused on boxing. She had a hero in mind to emulate — Salvador Sanchez, a gifted Mexican fighter who died in a 1982 car accident. “It was the first time I saw someone that I wanted to be like,” Esparza said, explaining that she watched Sanchez fight in old boxing videos purchased by her father, David, a Mexican immigrant who loved the sport. “No puedes,” her father told her, repeatedly rejecting her entreaties. Esparza eventually persuaded her father to let her box, and Silva agreed to train her under one condition. “I’m going to train you like a boy,” Esparza recalled Silva telling her in 2000. Tears weren’t welcome in the gym. Besides, at the start, boxing brought Esparza joy as she proved herself. That desire and her talent led to success. As Esparza moved into her teenage years, she became more aware of resentment. On the heels of winning her first national championship in 2005, becoming the youngest to do so at only 16, Esparza returned to whispers and mutterings from some people at her own gym. 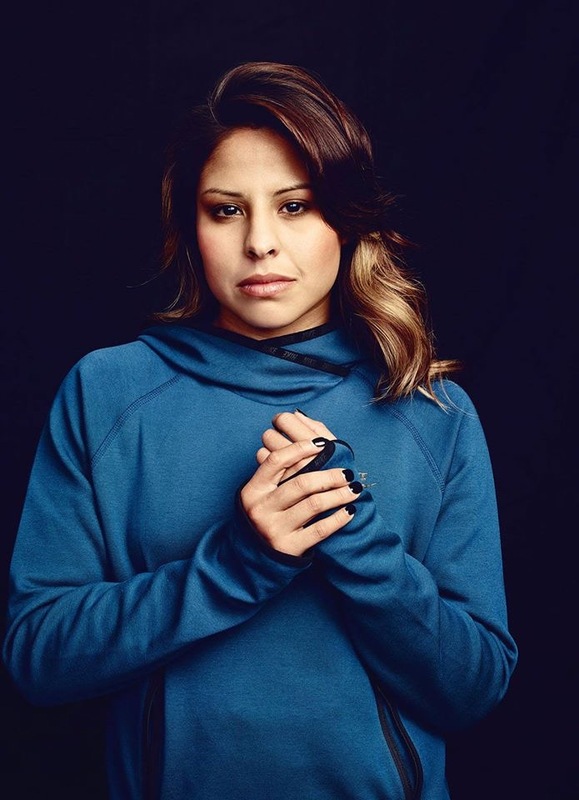 The drive to prove doubters and critics wrong was only partly satisfied at the 2012 London Olympics, where Esparza earned a bronze medal in the women’s flyweight division (112 pounds). Before the Games, Esparza’s long record of success had already generated considerable endorsements — and envy among some fellow boxers. After 2012, Esparza moved on from Silva’s coaching, training at times on her own. She found that anger can be useful as fuel. “I won my first world championship, which is arguably harder than the Olympics, by myself,” Esparza said of her 2014 title. Esparza came up just short of qualifying for the 2016 Rio Games, losing to fellow Texan Virginia Fuchs in the final match at the trials last year. The crushing disappointment from that setback has propelled Esparza toward a pro career with more force. Esparza has the prime example of her own promoter, boxing legend Oscar De La Hoya, to follow in the ring. “We feel she is someone who can revolutionize women’s boxing in the U.S. and bring awareness and excitement,” Golden Boy Promotions president Eric Gomez told ESPN’s Dan Rafael in December, when Esparza became the first female boxer signed to the company. And what would Esparza tell a Latina of 11 years old walking into a boxing gym in south Texas today?